Well, this is my little participation to the VMware Blogging contest announced by John Troyer and Mike Adams. I think it’s a great way to be motivated. I hope my participation will be helpful to people wanting to discover VDR. VMware Data Recovery is a subject of today’s post. Please note that the product has been replaced by VMware, a while back. Now VMware is offering VMware Data Protection (VDP) product, based on EMC Amavar’s code. I have done a series of posts on VDP here. You can check it out. VMware Data Recovery (VDR) is a backup tool with Graphical User Interface which permits to backup your Virtual Machines.VMware Data Recovery is a pre-installed Linux appliance (a Virtual Machine) which is imported into your vSphere cluster. You can see it as a plugin in your vCenter server and as a VM inside of your VI client. Up to 100 VM’s can be protected with VDR and there is a possibility to run 8 simultaneous backup jobs. Those backups are stored in Deduplication Store. Why it’s called Deduplication? Because just first backup of the VM protected is Full backup. The other backups are incrementals using VMware Deduplication technology. It is a huge time saver not only for backup window but also for the restore operations. You can restore Files accidentally deleted inside of your VM too with File Level Restore (FLR) utility. This utility does not have a GUI, it is a command line utility, but easy to manipulate and you don’t have to worry about not being able to use it if necessary. Just copy this single executable to the C drive on each VM you need to protect. It’s simpler to have this executable ready there when you need to recover individual files. The Deduplication store can be a NAS, SAN or CIFS (Samba) as a destination. I’m not going to repeat all those steps necessary for the setup and configuration in this post. I have done a video series about VDR recently so I can give you the opportunity to explore the installation, setup and recover VMs or individual files on those posts below. Each post has video embedded at the end. Those are HD videos posted on You Tube. VMware Data Recovery Install and configure. VDR – Your first Backup. 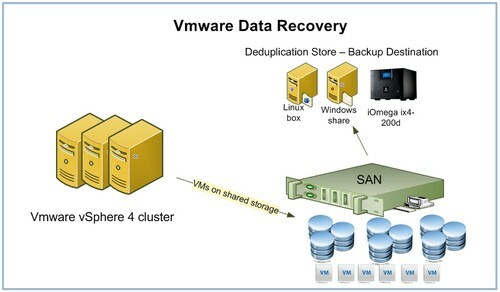 Restore VM with VMware Data Recovery. Restore Individual files inside of your VM. VMware Data Recovery as a first backup/recovery product having a GUI from VMware is not bad at all. The principle is simple – Just set it and forget it. Check the logs time to time just to make sure that everything is going right. This kind of product is useful for SMB. Easy and functional. It is for sure that there are much more sophisticated products around on the market, but this is another story. VDR is a solid product only using some CPU and space in the middle of your Virtual Infrastructure just to help you stay protected against failure. 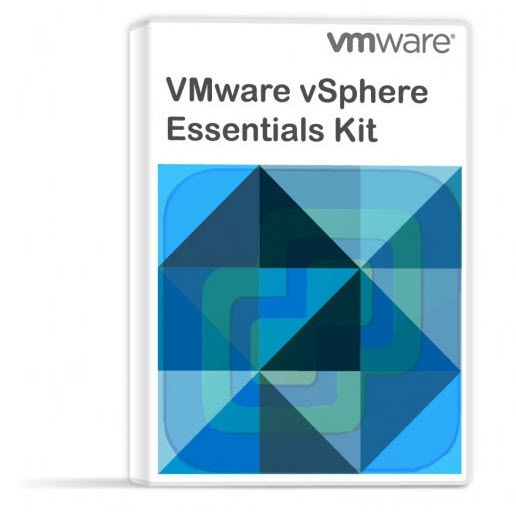 Using VMware Data Recovery without vCenter?